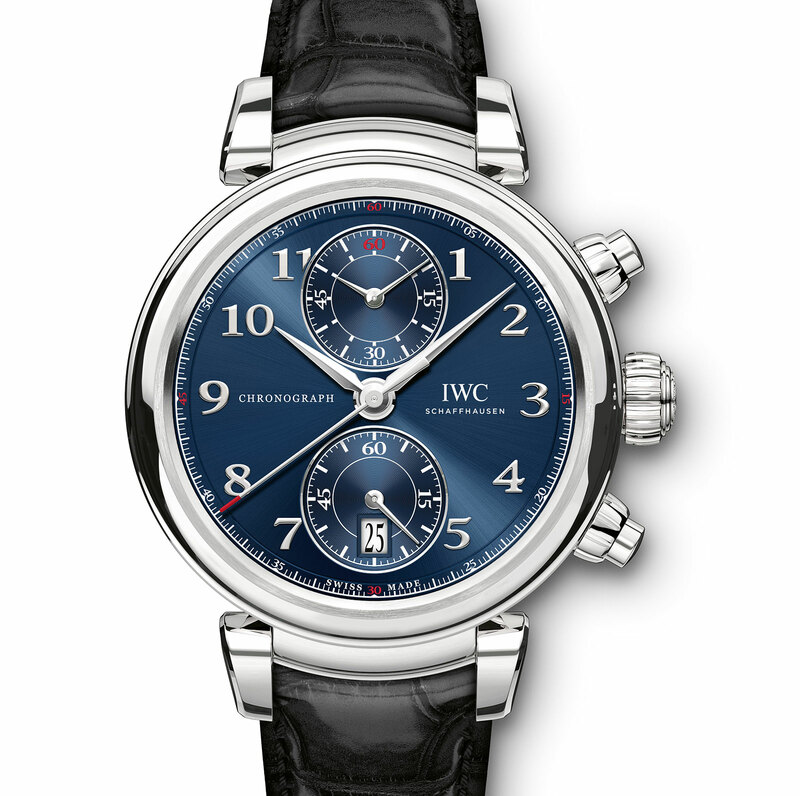 IWC's latest watch for the sports charity is based on the new Da Vinci, with the signature metallic blue dial of the edition. 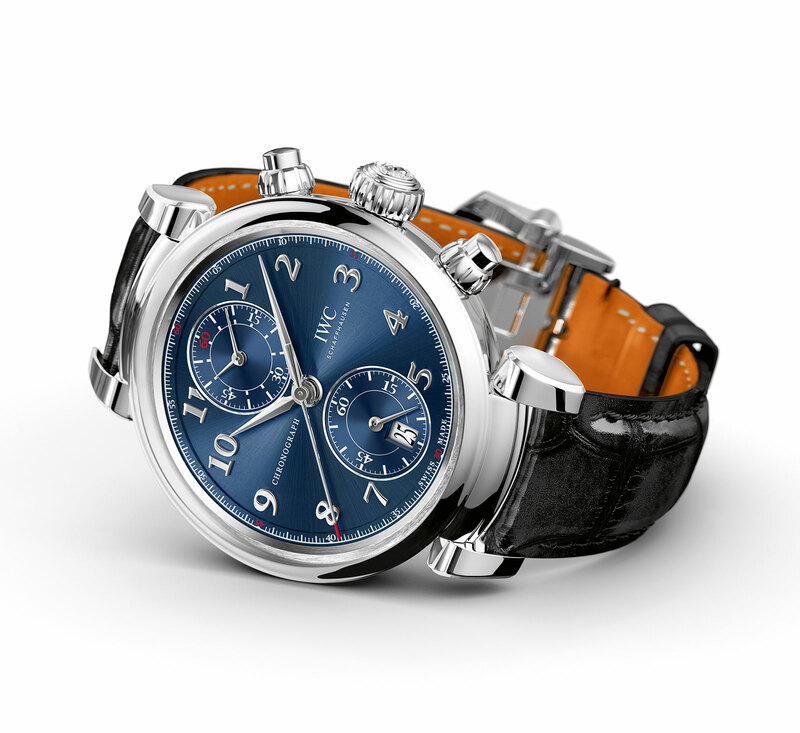 Since 2006 IWC has unveiled an annual Laureus limited edition to support the eponymous charitable foundation. This year it’s the turn of the restyled Da Vinci to get a Laureus makeover. Like the earlier Laureus watches, the Da Vinci Chronograph Edition “Laureus Sport for Good Foundation” has a metallic blue dial with a hint of red. Stainless steel and 42mm in diameter, the Da Vinci Laureus is equipped with the calibre 89361, a self-winding chronograph movement with a flyback function and the efficient, proprietary Pellaton winding system. Importantly, the Da Vinci Laureus is the only chronograph in the new Da Vinci line without additional complications for now (but expect more in the future). The case back features an engraving of a drawing done by a 12-year old Chinese boy, Hou Ye. A participant in the Special Olympics East Asia, Ye won the annual contest IWC holds to select a motif for the case back of the following year’s Laureus watch. 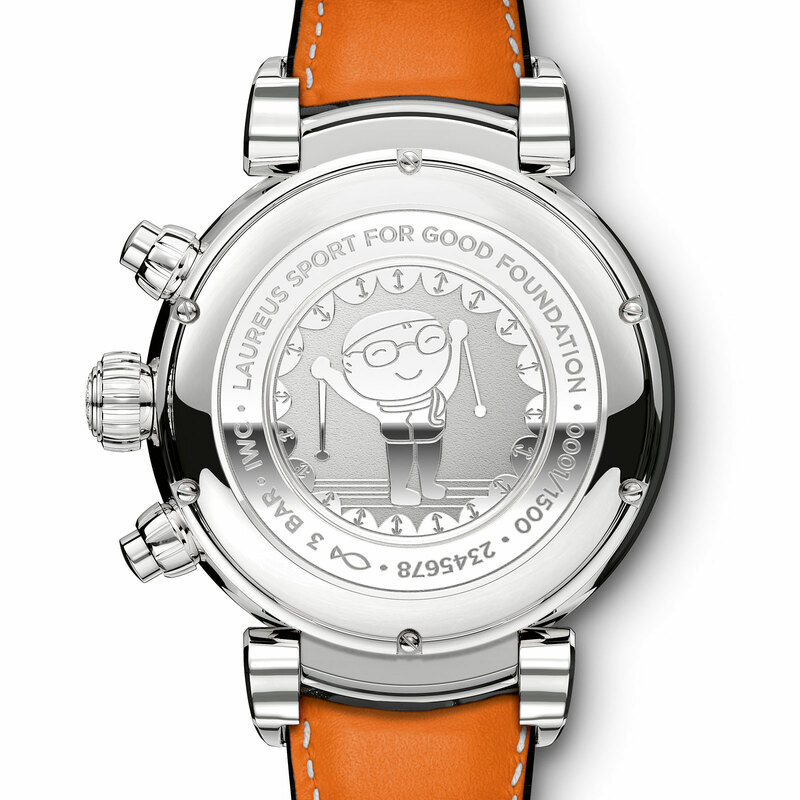 As is standard practice with the Laureus editions, part of the proceeds from the sale of the watches will go to the Laureus Sport for Good Foundation, a non-profit set up by IWC’s parent Richemont and Daimler that aims to bring sport to disadvantaged children. Update January 30, 2017: Pricing added. The entry-level men's watch in the new Da Vinci collection is to the point and affordable. IWC's flagship complication boasts a hacking, flying tourbillon, as well as a chronograph and retrograde date.